As parents, we want our child to succeed in life. We also want to help in any way we can with different processes in our children’s lives. We don’t, however, always know the best things to do to actually be helpful. I think this is especially true for swimming lessons. Before your child takes swimming lessons, it is very helpful if you can get your child comfortable in a swimming pool. Do not assume that comfort in a tub will equate to comfort in a pool. The two locations are very different–temperature of water, size of the container, and ability to touch the bottom and sides are just a few examples of extreme differences in the two. So take your child to the pool at times. Once you know the pool you will have lessons at, it would be an excellent idea to take the child there before the first lesson. Your child will likely do better than he would otherwise at his first lesson if the pool is familiar to him. If your child is not used to the water, do not be surprised or frustrated if your child spends a lot of time crying at lessons initially. We have had the same swim teacher, Hailie, for the last 3.5 years doing private swim lessons. She is also a coach for the swim team and is over the public swim lessons. I asked for her input for this post. Her first piece of advice was to start young. She said, “No matter the child, don’t wait past the age of 4.” She said she has found that waiting long just leads to an increased fear of the water and that makes it harder for the teacher to break that fear. She also said it is a lot easier to work with a scared 3 year old than a scared 5 or 7 year old. Ask around to find a good program. You will want input from people who have very recently been in lessons–programs can drastically change quickly. We started at a pool where I was not impressed wit the quality of teaching. They also seemed to pass everyone to the next level whether they should be or not and grouped children based on age, not on ability. I get that kids have fun with peers, but it isn’t doing the children favors so far as really learning to swim. We ended up moving pools and finding a private teacher. I have loved that! Hailie said that no matter where you are, if the public swim classes have more than 6 kids to a class it is not worth it. That will not give your child enough instruction time. She also pointed out that a lot of public swim teachers are inexperienced, so you want to be sure there is a supervisor walking around and helping teachers. “If you can’t identify a clear supervisor, the lesson program is no good” Hailie told me. I think there are things we parents really prepare our children for. Take the dentist. We know that the dentist can be scary. We talk to our children about the dentist and practice at home. Another example is potty training. We get potty books, watch potty videos, and talk about it with our child before diving into the training process. With swimming, however, we often just take the child to the pool and expect the child to embrace learning to swim. Learning to swim is at least as scary as the dentist. It is also a lot more challenging than learning to change from peeing and pooping in a diaper to doing it in a toilet. I am not taking anything away from the difficulty of potty training–it is often a difficult process. But it is a natural process. Learning to swim is usually not natural for a child. So spend some time mentally preparing your child for swimming lessons. If you don’t know, find out what the child will learn to do at first. Explain it to your child. Talk about what will happen and what it will be like. Be honest. Tell your child it might be hard and maybe even seem scary, but that you know your child can succeed if she tries. Talk about how it will be so exciting to learn to swim. Be honest and say it will be hard work. Tell her that the teacher will be very nice and that she can trust this stranger who is going to ask her to put her face in the water. Talk about how fun it will be to get in the pool more often. Tell your child what you expect of your child. “You are not allowed to tell the teacher no. You need to obey the teacher just like you need to obey Mommy.” Also talk consequences for failure to follow through with consequences. Finally, be sure you child knows that all you want is for your child to try her best. You don’t care how fast she learns or picks up on it all, just that she is trying. Children have very different rates of progress through swimming. Some are more natural than others. Some often have trouble staying buoyant when young due to lower body fat content. Some can’t progress quickly until their body proportions reach a certain place. Be satisfied with a best effort. Now, you know your child best. If you feel like there are things you shouldn’t discuss unless necessary, go with your gut. For example, some children might not even think that swimming could be considered scary until you said, “It might be scary.” With children like that, you wouldn’t want to tell your child she might be scared. Consider what you think your child needs to hear before the first lesson to be successful and go with that. All children are very different in the process of learning to swim. Brayden (now 10) started out scared. He was very scared, but always did what was asked. As time went on, he slowly got less scared. New skills would make him nervous–like flip turns and dives–but he progressed in a linear way. Today he is on the swim team. Kaitlyn (now 8) started out with no fear. Then she grew to be scared (thanks to an inexperienced teacher who left Kaitlyn out alone…not great). She then was fine. Then got scared again and declared she would never put her face in the water. Then she was fantastic. Then she got really scared for no known reason. Then she was fine and didn’t look back. She didn’t have as much trepidation about dives or flip turns. Hesitation, but not fear. She has passed everything off now. McKenna (now 6) started off fearless. She progressed rather quickly–probably too quickly. I think her skills grew faster than her maturity level to handle the skills. She also got ear tubes and the water really bothered her ears. In retrospect, we should have tried plugs. She went through a time of crying through her lessons after progressing several levels in with no issues. We had to sit out of site or she would refuse to do what her teacher asked. We tried pulling her from lessons. She didn’t really improve greatly until the ear tubes were out. Since then, she has gone back to progressing quickly and loving swimming. Brinley (almost 3) has not yet started lessons. I plan to start her when she turns 3. She started life with no fear of the water. She spent a lot of time in the pool just because we were in the pool a lot. She has recently started to be nervous with the water, however, so I am not sure how she will do in swimming lessons initially. She got a little nervous with water after getting toppled in a wave when we were in California last November. My point in sharing these stories with you is to encourage you to be patient as your child works through the process. There will be ups and downs. If you all stick with it, though, you will come out successful in the end. It is wise to know what you can really expect out of swim lessons. Hailie, our swim teacher, pointed out that if you only do swim lessons during the summer, you need to realize that the child will have forgotten skills during the time since last summer (just like kids forget school skills during summer). She recommended starting out your summer lessons on the last level the child passed off as a refresher. You will also need to do more than one class in the summer if you want to see real progress. Whether you do private or public, you can’t just do a handful of lessons and expect there to be vast improvement. For public lessons, Hailie recommended 2-3 sessions (at eight 30 minute lessons each). For private lessons, she recommends eight to ten lessons of 30 minutes each of one-on-one time. During the time period of lessons, keep that familiarity up with the pool. When our children were younger and feeling nervous about lessons, we made a point of going swimming just for fun. We would just have fun and eventually encourage the child to show us what he/she had learned in lessons so far. We would count to see how long the child could float on the back. We would help the child practice skills he/she was afraid of doing with the teacher. Learning to swim is a skill just like learning to play the piano. It is helpful to get practice outside of a lesson. It doesn’t make sense to expect mastery of swimming with swimming happening only at lessons just like it doesn’t make sense to expect ability to play the piano if piano playing is only happening during lessons. Another comparison could be made with softball or baseball. You probably wouldn’t expect your child to improve only at games. You would expect some practice would need to happen outside of games to really make improvement. It kind of seems like most children go through a phase of crying or at least being upset during lessons. It is usually best to stay out of it if your child is crying. 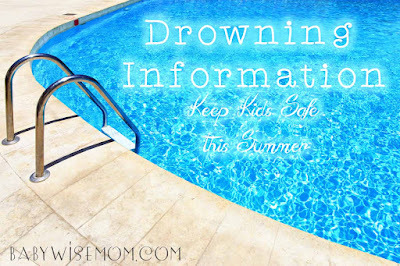 Do not go to the side of the pool and try to talk your child into being okay with it. Most of the time it is best to leave the child with the teacher and let it be worked out. It would be wise to talk with the teacher beforehand and find out the policy and expectation. I think many times parents approach the child because they don’t want to leave some poor teacher with their screaming child. If the teacher tells you beforehand, “I’ve done it a million times. It is best for you to just let the child be if she cries” then you will feel more confident in letting the teacher handle it. Let the teacher know that you will stay back unless she signals for you to step in. You might need to sit where the child can’t see you. When McKenna had a hard time, her teacher told me that almost always the child would stop crying if she couldn’t see the parent. This leads me to just talk to the teacher. Find out what the teacher wants from you and doesn’t want from you. Parents often interfere in the process too much, but again, I think that is the parents trying to be good parents. It is helpful for you to know proper expectations just like it is helpful for your child. These teachers teach a lot of kids and know what generally works and what doesn’t. 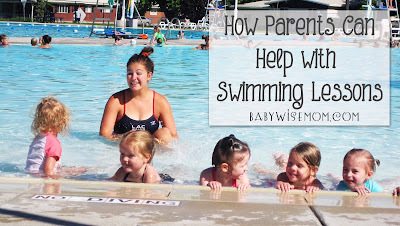 Hailie pointed out that many parents do not understand what it takes to learn to swim. She said that to teach a child to swim, the child will have to feel what it is like to sink a little. The child is going to go under water and will likely get water up the nose. The child will probably cray about that (see crying section above). She emphasized to “let the teacher keep teaching.” Many times when a child cries, it means they are being pushed to learn. And that is why you are paying money for lessons right? To learn. You could spend less money to just go hang out in the pool. We made a sticker chart for each child for passing off various strokes and skills. Any time a child passes something off, we all go out for ice cream on our way home from that lesson. This has been a very motivational tradition. You shouldn’t need much for swimming lessons. One thing to consider is the use of goggles and flotation devices. Initially I didn’t want my kids using goggles because I didn’t want them dependent on goggles. However, I learned they did better with goggles. Looking back, I don’t see an issue with goggles. Swimmers on swim teams use goggles. And through the years, my kids can all go into a pool without goggles and still have an enjoyable time. Also, if you are going to get goggles, get good ones. I have to buy goggles from a swim shop–not even the “box store” googles of the same brand are very good. We like Speedo. 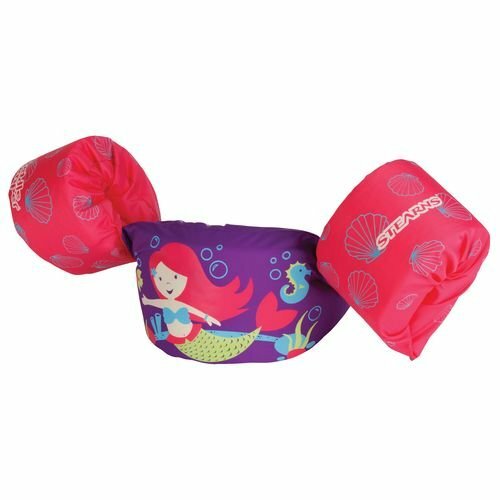 There is a lot of debate surrounding flotation devices. Some people swear by them. It is a way to get children comfortable with the water. Others swear they only harm. They say they discourage proper technique and can also give a false sense of safety. Know the opinion of the pool you will be taking lessons from and find a pool that lines up with your own opinion. Expect swimming to take time. Your child won’t master it in a short swimming lesson session. Be patient with the time your child needs. With time, your child will get it. Today, the ladies of the BFBN are all sharing tips for summer. Be sure to check out all of their blogs today to get some great ideas for summer! Thank you. 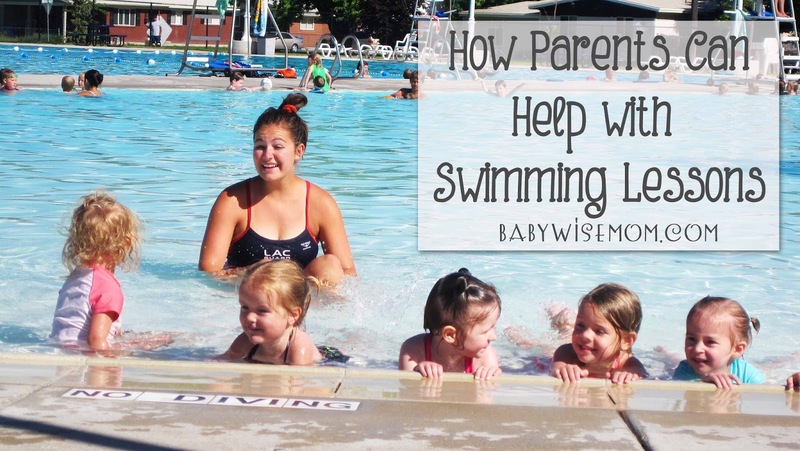 This is very helpful and so timely as I have just been thinking how I need to look into swimming lessons for my daughter.